Despite having been to Goa many times – right from my college days to when I was working full time, I only discovered my love for Goa last year. I traveled to Goa 4 times at my pace, spending my time going off the beaten path, experiences, food and culture. My quest for unique Goan experience is still on this year too. And it led me to Olaulim Backyards homestay, and I ended up getting far more than I’d hoped I would discover. 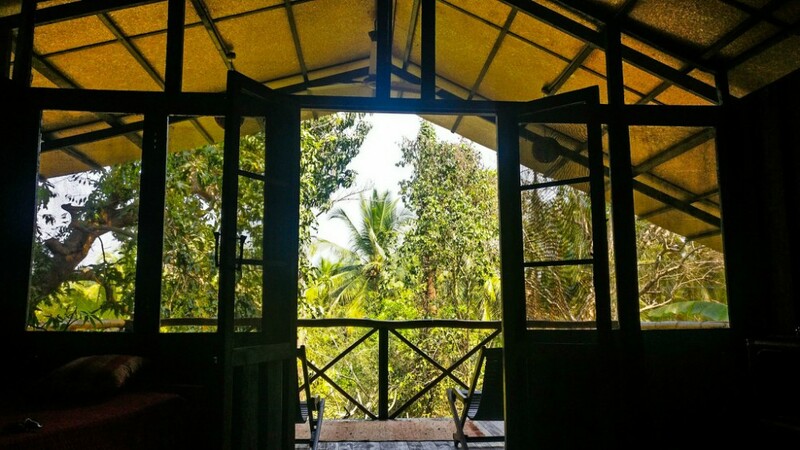 Imagine waking up by the banks of a river, surrounded by the birds, animals, palm trees, green fields and warm & kind hosts – Does this sound like something that you could imagine in Goa? No, right? But if I were to say that this is the exact thing that I experienced in Goa this time, would you believe it? 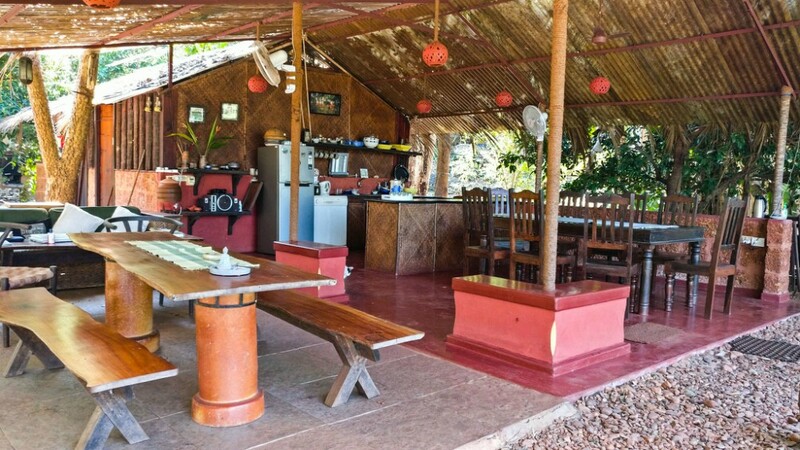 Read ahead to know what this unique homestay in Goa offered me. 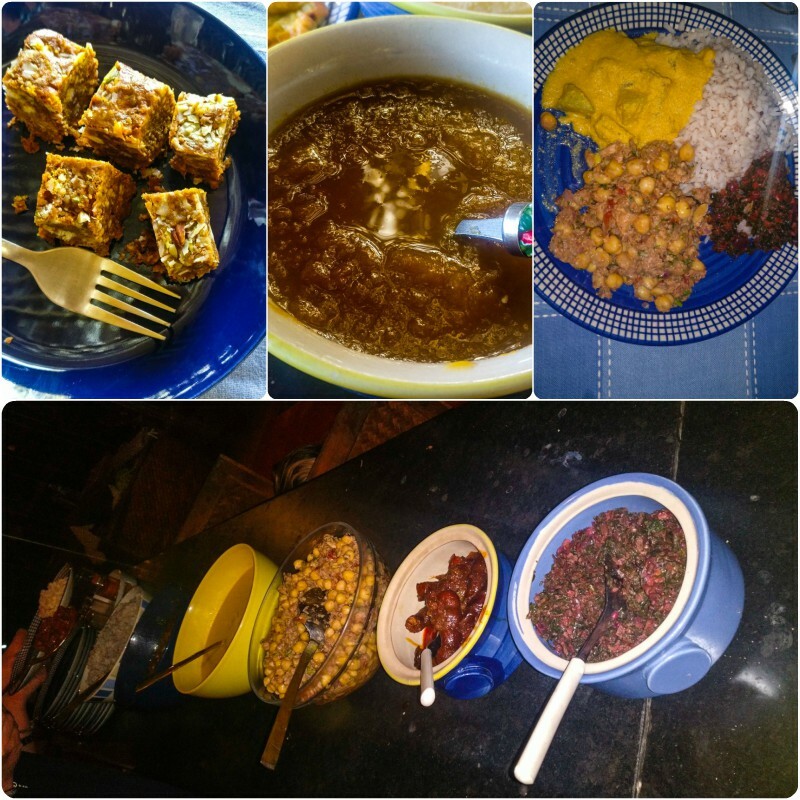 Olaulim Backyard Review – What to Expect at Olaulim? How to Get to Olaulim? How to Reach Chorao Island? To me and most of you people, Goa is synonymous with its wide range of gorgeous beaches. So much that most of us miss all that lie beyond beaches. Also, thanks to this pretty good coastline and being a popular destination of India for holidays, it is not difficult to find a homestay in Goa. There are plenty of places to stay in Goa, but picking one among the homestays in Goa depends on your idea of a holiday. Olaulim Backyard is a mid-range to a luxury homestay, but it isn’t your typical homestay, which is also the reason I picked up. As you know, I prefer going off the grid whenever possible, and Olaulim has all the characteristics. For starters, the location of the property beats your beach stay any day. 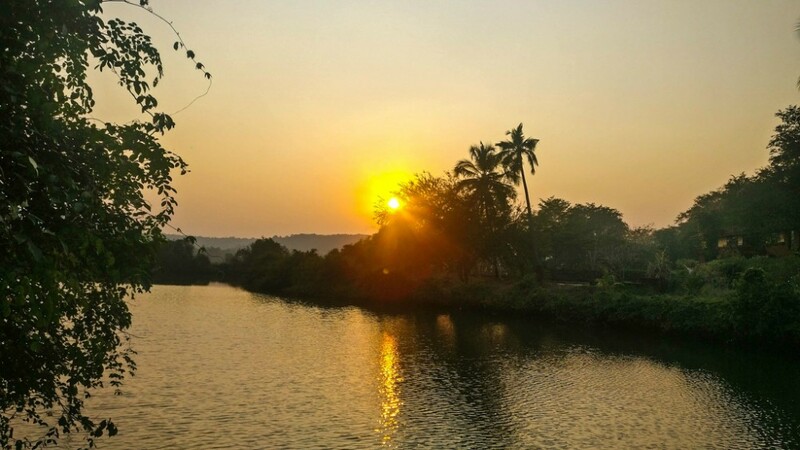 Located in Pomburpa village, Olaulim provides a glimpse of Inland Goa, most of which is relatively virgin to the tourists. 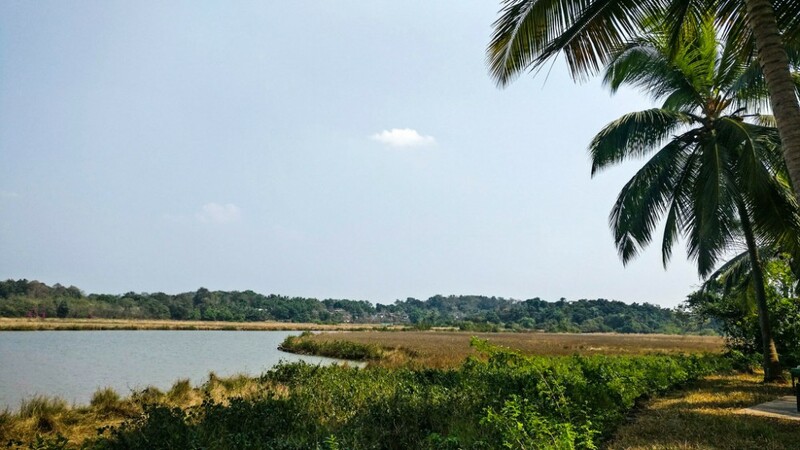 Plus, the backwaters of Mandovi river is your neighbour at Olaulim, along with the field dotted with palm trees, which cuts you off to be totally in a serene place. It is a luxury of its own league to have the backwaters of a river at your expense, without tourists around, right? And the hosts have embraced simplicity and elegance that resonates within the property in everything. The simple yet well-decored, meticulously built cottages, bath & room amenities comprising natural/recyclable products, fresh organically grown vegetables & fruits, pet-friendly farm, and the recycling methods adopted at every level – All these showcase how the couple have incorporated responsible travel and minimalism brilliantly, still offering mid-level luxury amidst nature’s bounty. 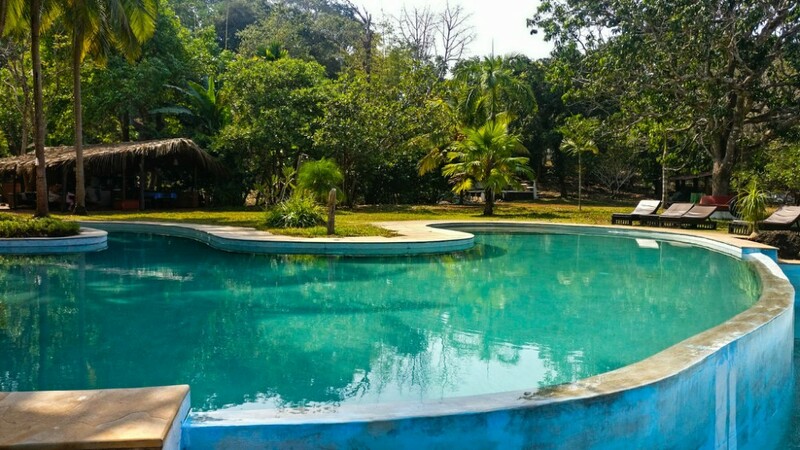 There is a swimming pool beside the lake and is good to laze in the pool on a hot afternoon overlooking the countryside of Goa. There is an in-house bar as well, and Pirkko & Savio entertain their guests with customised parties of their own serving the signature local Fenny drink. Being away from the party scene, this bar makes up for the pub during your stay here. Even the best of the accommodations and a top-class luxury cannot be enjoyed thoroughly if you are hosted by grumpy people (Trust me, I have had many of such experiences too!) 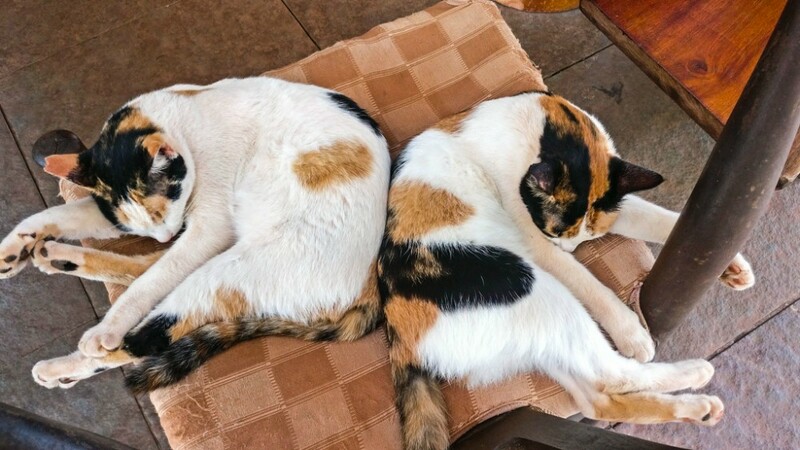 Pirrko & Savio Fernandes, the owners of Olaulim Backyards surely know this and they both leave no table unturned to make their guests feel as comfortable as possible. ‘We hadn’t planned on turning this into a full-fledged homestay,’ said Pirkko, in one of the conversations during lunch. But their natural demeanour for being the perfect hosts probably led them to what the guest house is, today. Pirkko is a Finland born, well-travelled host, married to the local Goan Savio Fernandes, and together with their lovely children Shameena and Manuel, they make you feel like a family during your stay at the property. The duo is one of the few people that I have met in Goa that know the place like the back of their hands, are excellent hosts, and know how to make their guests come back for more! Olaulim Backyards currently has 5 cottages, all named after the wild local birds. Each of them caters to different groups of guests – couples, young families or solo travelers and is themed and designed accordingly. Earthy colours, wall murals depicting local art, mud walls, wooden floors – I loved how vivid things can be on the same property. The Hornbill is the cottage that I stayed. It is on top of a small hill and needs some climbing up. Built at the extension of a rock, this cottage is perfect for a family, with a master bed at the centre and an additional bed. 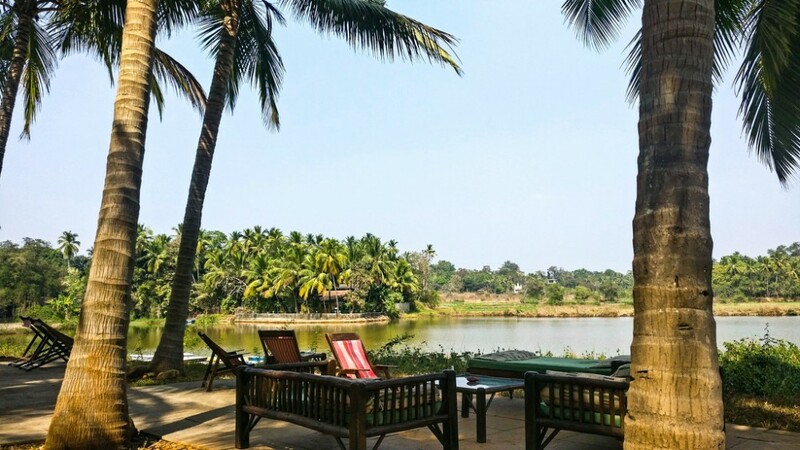 I loved the balcony the most as I enjoyed working from there admiring the view of the backwaters and the farm. The bathrooms at Olaulim Backyards are unique, or rather traditional I must say. 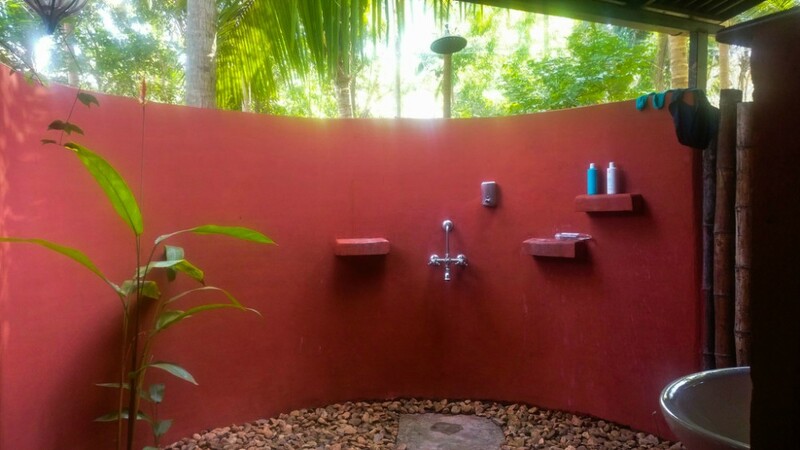 With an open roof, one can enjoy the shower basking in the Goan sun. I wasn’t accustomed to this and felt a bit awkward on my first day, to be honest. But once in, I enjoyed the bathing afterwards, which was surprising! Sunbird is the one opposite to the backwaters and is ideal for a family of 3 or 4 people. It is close to the swimming pool, the bar and the seating area, making it a popular choice among all the cottages. The golden oriole is designed for couples, especially those wanting a honeymoon, and its location is just perfect for couples. Indian Pitta is the newest and is made entirely of rammed mud – another step at Olaulim towards eco-tourism. You must have got an idea of how things are at Olaulim Backyards by now. As for food, the same principles extend, and hence be prepared to be smeared with exotic Goan local cuisines all the time you dine here. Pirkko is an excellent chef apart from being a sweet host. I tasted her mango jam made from the ones grown on the farm, and my favourite part was the desserts hands down! As if her smile and warmth weren’t enough, she amazed me with her culinary skills! From Goan curry to appetizers to desserts, you’ll be served with delectable food that will make you sleepy and makes you crave for a siesta in the afternoon. You can get non-vegetarian food upon request, and if you don’t like spicy food, you don’t have to worry because the food was just right in spices! I prefer doing nothing when I am at places like this. I mean I don’t want to run around stuffing myself with activities when I am in an absolutely tranquil place surrounded by lovely nature. So I only enjoyed soaking in this while working (places like this also inspire my creativity!). I went for a walk in the evening around Olaulim village, admiring the traditional Goan homes, backyards, people, animals and the sunset. For families with kids, there are some things to enjoy together. One of the must do would be Kayaking in the backwaters of Mandovi. The water isn’t steep and will lead you through the lush green paddy fields. If you wish to burn some calories on your holiday or want to explore the neighborhood of rural Goa, grab the cycles and go along the streets. Not only will you be more hungry for dinner, your senses will thank you for the fresh air and the scenery! You can ask Pirkko for Olaulim village tour, or go on your own walking. 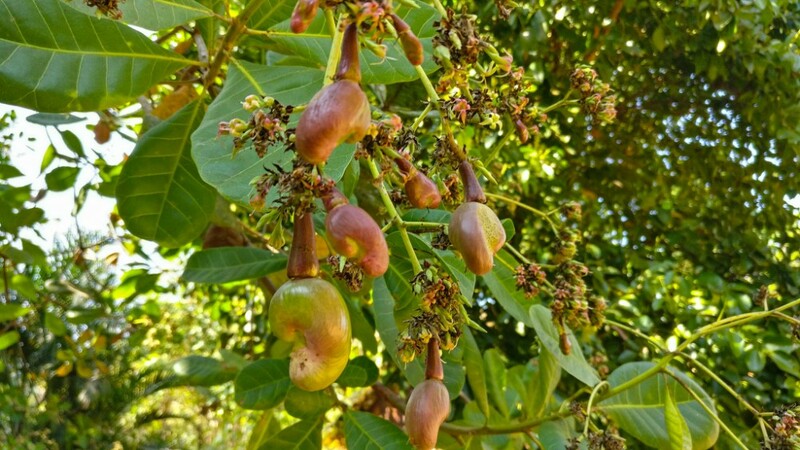 There is a farm opposite the property where fresh vegetables are grown, and also don’t forget to check out all the beautiful Goan homes, rich in style and grand in architecture! If you are at the right time, you can spot a lot of birds in and around the backyards. You can ask Pirkko to guide on this for some photography as well. Recommended read: Offbeat Goa Travel Guide – All The Things To Do in Goa That Are Off the Grid! It would be a great injustice on my part if I don’t mention the special hosts of Olaulim. It is a mini farmhouse considering all the pets Savvio and Pirkko have. 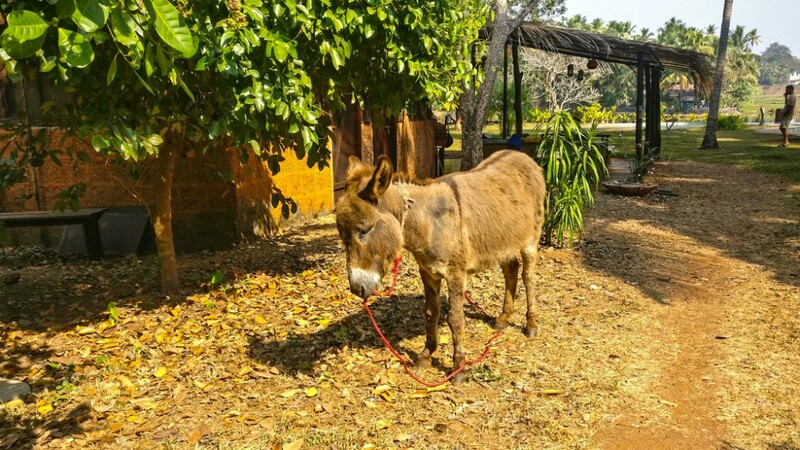 The donkey Mantra, which seemed to be the naughtiest of all, the two overgrown looking, intimidating like dogs Max and Sibu, are probably the best examples for looks-can-be-deceiving. They are just so adorable and mellowed that their size would be soon forgotten the moment you look at their innocuous eyes! Fluffy, Silky and Sugar are the cats that you can find in the reception area. Lily is the goat that was chilling by the pool and napping under the tree in shade. All these have formed a pretty good gang in the farmhouse, and can keep kids or even adults occupied for the most part of the day! So how was my experience at Olaulim? Did I like it? Yes! 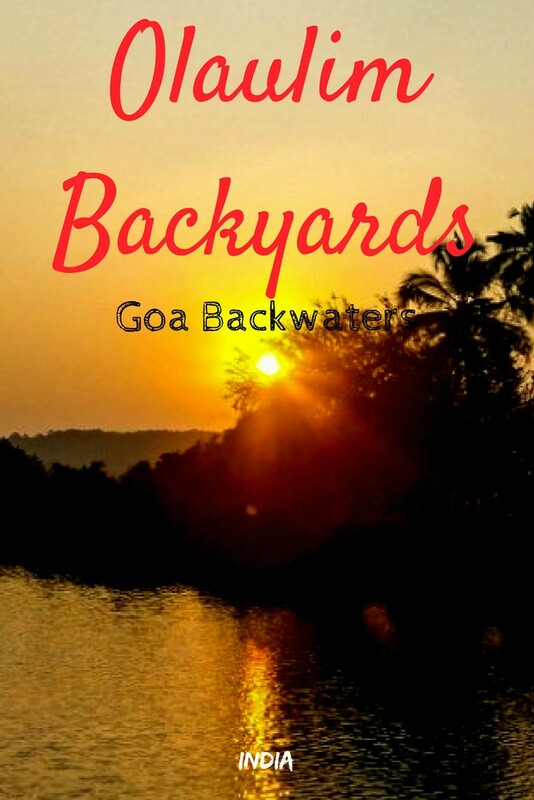 I loved spending time beside the backwaters, close to nature, and away from everything Goa is known for. I got exactly what I had hoped, in fact, even better. What about you? Would you like it? 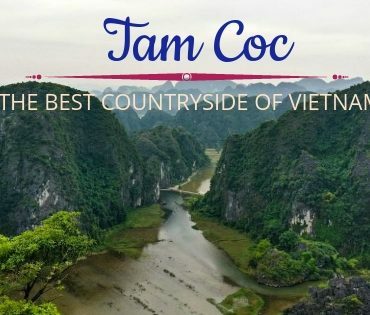 Should you try this place? If your idea of a vacation in Goa involves sophisticated accommodation with AC, glittering luxury and absolutely indulging holiday with a 24/7 service, amenities like gym and connectivity, then Olaulim shouldn’t be the one for you. 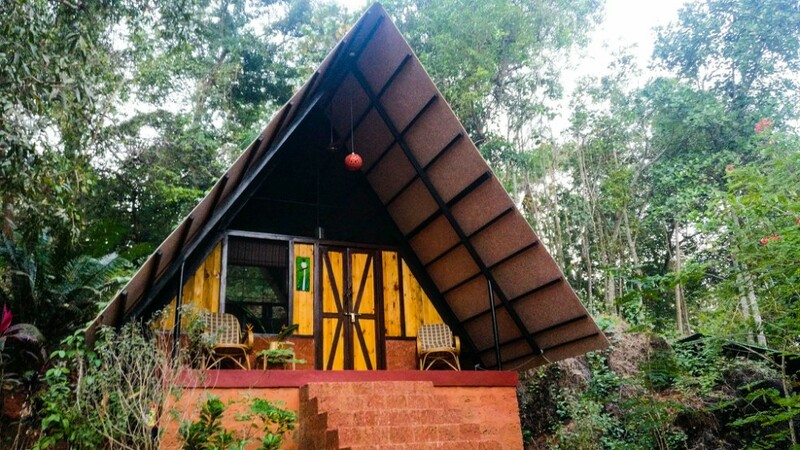 If you want to spend time indulging in adventure, outdoor activities, savour local Goan cuisine, get away from the hustle-bustle of city life, ride the bicycle on empty roads, watch the sunset from the backyards, and don’t mind the insects in the farmhouse, then you’ll simply love Olaulim Backyards. In short, you’ll experience a holiday where you’ll get a peek of a part of the countryside while enjoying the comforts of a holiday curated responsibly and differently by lovely hosts. 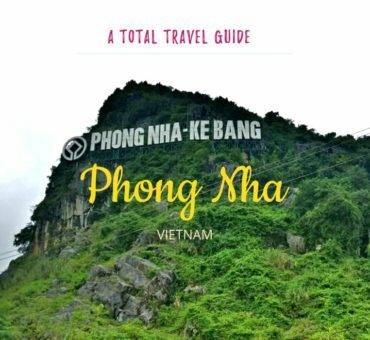 Note: Carry mosquito repellant on your trip here, and don’t worry out by the giant spiders that you might spot. If you like munching on evening snacks, it is better to get them when you arrive as you have no shop on the property. Also, there is no AC, the WiFi available near the reception is not great, and there is no TV or any form of modernities. So arrive here to ditch all the comforts (banes!?) of city life, and enjoy living the minimal style on your holiday. 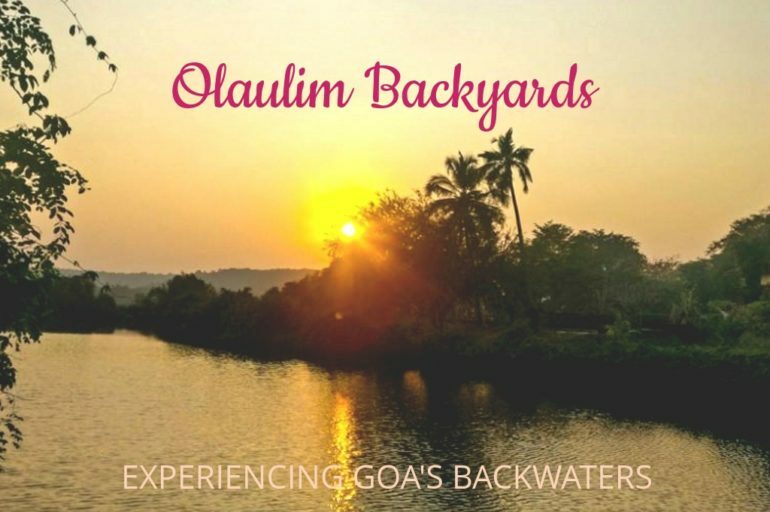 Olaulim Backyards is located in Olaulim village in Bardez in North Goa, about 11km from Panaji, the capital of Goa and 8km off Mapusa, the nearest main town. It is about 30km away from Dabolim, where the airport is. The nearest railway station is at Thivim, which is about 30 minutes ride away. You can reach Mapusa, and take an auto or a cab from there. If you are driving, just follow the Google Maps for Olaulim Backyards, and it should lead you to the property. If you need a pickup, you can request it at the time of booking. If you have time and feel like getting out to explore some parts of Goa, there are a handful of attractions which are relatively unknown in the tourist circles. Pirkko suggested me about the Chorao Island, which is the largest island along the Mandovi. The place is just 5km from Panaji and is home to the popular Salim Ali Bird Sanctuary. Ferries ply regularly to Chorao Island bird sanctuary, and you can either travel from Panaji by bus/cab/auto and board the ferry. The ferry point is at Ribandar jetty point. It takes about 30 minutes to reach the ferry point from Olaulim. There is also the Chorao Church at the end of the island. You can also visit Vanxim Island, which can be reached by taking a ferry from Divar. I couldn’t visit the Chorao Island on this trip due to change of my plans, but I would recommend based on the host’s words. And I got some more places and reasons to go back to Goa! Goa, like most of west and south India, is favourable to travel throughout the year, with the only exceptions being the summer and the monsoon. The high season begins just after the rains end, from October that lasts until January. 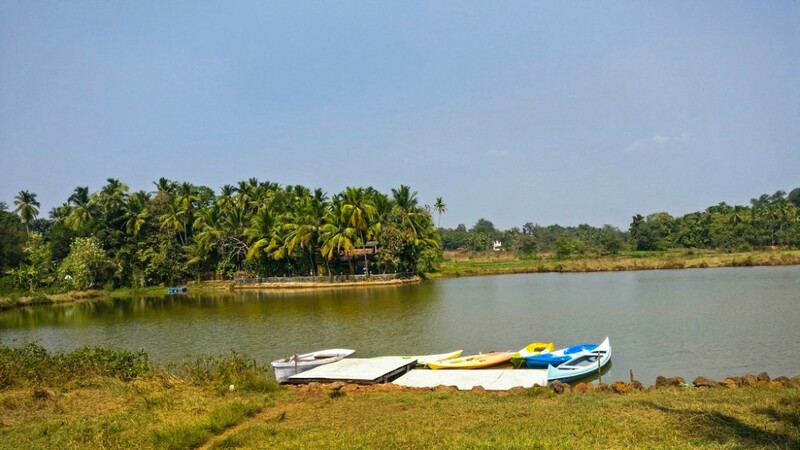 This is also the best time to be at Olaulim Backyards – the nature is at its best with lush green and the brimming backwaters. Plus, you can try all the outdoor activities at this time. The tariff at Olaulim depends on the seasons and the number of people. A single room costs 4500 INR per day between October to May, a double costs 5200 INR. It is 4000 INR for a single accommodation between June to September & 4500 INR for a double. The price is 8500 INR for a double cottage between 18th Dec to 5th Jan, i.e during Christmas and the New Year. No additional cost for children under 3 years, and for a kid between 3 to 10 years, the price is 700 INR. The charge is 1400 INR for a child over 10 years. The cost includes breakfast and all the in-house activities. 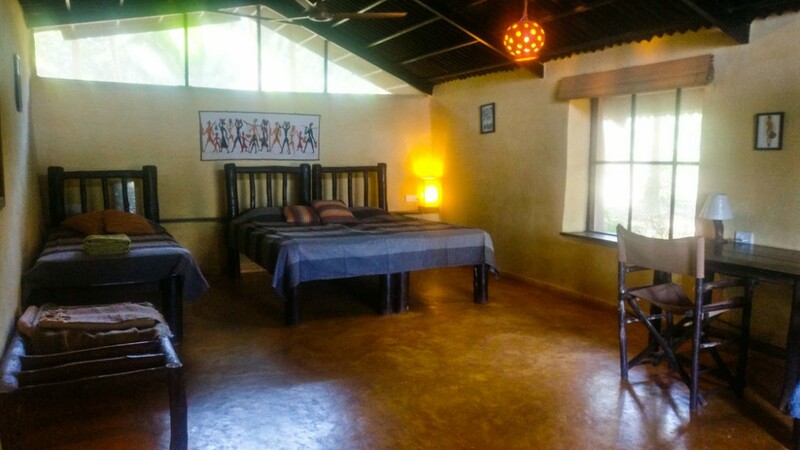 Since the rooms are limited and are in high demand, it is better to book the cottages well in advance if you plan to visit during the peak season. 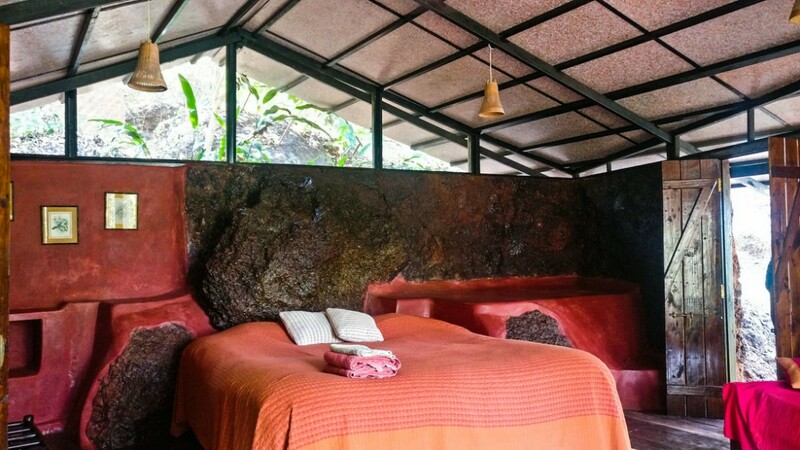 You can book online through their website Olaulim Backyards or book on sites like Airbnb Goa or Booking.com. Also, here is the address and the contact details for you to get in touch. You can also get in touch with them on Facebook & Instagram. So plan your getaway for a riverside experience in Goa, and let me know how was it! If you have visited Olaulim, tell me what you think in the comments below! PS: I was a guest at Olaulim Backyards for a collaboration. However, as always, all the views and opinions expressed are my own.